A place for homeschool help, tips, free ideas, and sharing memories! Check out this video for a description of this curriculum. NOTE: I put a * sign next to day numbers that have printables that day. Also, every Thursday (or day ending in 4 or 9) I have a nursery song to play to introduce my son to different songs he may or may not have heard. They are not classical music and don’t go into a lot of depth, they’re just a fun way to introduce music. I created this schoolwork because my state requires social studies and science and I am using it with Easy Peasy All in One Homeschool : Getting Ready 2 curriculum. I use a ton of youtube videos simply because I want my son to have an all around understanding of these subjects. The youtube videos will be linked into the sentences, so when you see words highlighted make sure to click on them after reading what the sentence says. Nearly every week requires books from the library. We live in a pretty small town and I checked to see if the specific titles I listed are available in our library here in town and all of them were. In our town you can use your library card online to hold books so they’re waiting on you when you for pickup or can be transferred from one library in our county to another library in our county. Check with your local library to see if they offer something similar because it will make it easier to gather all the books needed, especially during the community section when more books are listed by name. You can check for some of the titles in your local library and if they aren’t available just substitute with something you think will work. The weeks that need library books will have Rent from the library for reading in bright red lettering so you don’t miss it. Check each future week at least a week or two in advance to see what supplies you need or what books you need for the week. I tried to write down some of the supplies needed in bold letters in advance but some of the activities use supplies that are usually kept in the home all the time so I didn’t write those down. That’s why it’s a good idea to check ahead so you have everything prepared for the day. If you have any questions or comments feel free to let me know. I hope this blesses others that have been trying to find a science and social studies curriculum for their little ones. Starting around day 11 we’ll start learning about “community helpers” ex: people working at grocery stores, banks, mailmen, police & firemen, etc. Think of one or two places for field trip tours. Contact businesses early so we get to tour when we’re learning about the subject! What are the places in our neighborhood? Listen to a song about places in the neighborhood. Talk about our neighborhood and where we go. Fill out this worksheet that’s all about you! Sing songs at top. What’s our address? What’s our phone number? Write your name. Use proper uppercase and lowercase letters and try to write it as neat as you can. Practice this each day for the the first 30 days or until you learn to spell it correctly and it looks neat enough for others to read. Use this site to print free primary lined papers to keep in your binder. You’ll need to create a free account to print from the website. Learn about our town. Everyone has a different job. Listen to this song about workers in our community. Discuss different helpers we see around town. Sing songs at top. What’s our address? What’s our phone number? Write your name. Rent from the library for reading: Last Stop on Market Street by Matt de la Pena .. Talk about how many different people make up our community. Sing songs at top. What’s our address? What’s our phone number? Write your name. Choose an art project from your current week. Rent from the library for reading: Everybody Cooks Rice by Norah Dooley .. Talk about how our community is filled with many different people with many traditions, cultures, and foods. Sing songs at top. What’s our address? What’s our phone number? Write your name. Do you know this song? There are many different types of people in our community but we’re all the same. Read this story out loud. Even dogs can be workers in the community. They are great for people that need a little help throughout the day. Watch this video about service dogs. Some people use sign language to speak. Learn about sign language. Sing songs at top. What’s our address? What’s our phone number? Write your name. Rent from library for reading: It Takes a Village by Hillary Clinton .. Talk about how we can help in our community. I Read Signs by Tana Hoban .. Talk about different signs around town, what they mean and why we have them. Sing songs at top. What’s our address? What’s our phone number? Write your name. Rent from the library for reading: Have You Filled a Bucket Today? A Guide to Daily Happiness for Kids by Carol McCloud .. talk about how we can be kind to others. Watch this to learn about pedestrian safety Sing songs at top. What’s our address? What’s our phone number? Write your name. Rent from the library for reading: The Invisible Boy by Trudy Ludwig .. Talk about how we should include everyone when we play and invite people around us to play with us. Watch this video about safety around the house. Watch this one as well. Sing songs at top. What’s our address? What’s our phone number? Write your name. Choose an art project from your current week. In our community we should help each other. When we help others we encourage others to be kind also. Watch this neat video about helping others. Keep our community beautiful by not littering. Sing songs at top. What’s our address? What’s our phone number? Write your name. Do you know this song? Draw a picture of your community. We can help our home and environment by conserving water. Watch this and then discuss what that means and ways to do it. Sing songs at top. What’s our address? What’s our phone number? Write your name. In 3 weeks we start learning about local, state, national government. Set up a tour with local government or plan a trip to state capital. Set it up sooner than later so we get to tour when we’re learning about the subject! We have so many helpers in our town. Listen to this song about helpers in our town. Take a virtual trip to the post office This is what the garbage man does. Write our address. Leave a box of cookies in the mailbox for the postman with a note that says it’s for him or her. They deliver our mail everyday no matter the weather and rarely get a thanks for all their hard work. Sing songs at top. What’s our address? What’s our phone number? Write your name. Our community works because everyone helps with different things. Listen to this community helper song. Landscapers help keep our community beautiful. Watch these landscapers at work. Play store. Sing songs at top. What’s our address? What’s our phone number? Write your name. There are many different helpers in our town. This video talks about what community helpers are and all the different helpers we have around town. The chefs in our town cook the food at restaurants we eat at. We don’t see them because they are in the kitchen at the restaurant. Take a peak into the back of a restaurant. Truck drivers bring lots of things to our town. We wouldn’t have the things in our communities that we need without them. Talk about the types of things that semi trucks carry (food, cleaning supplies, papers, pencils, dog food, toys, etc) This truck driver will take you along on his day at work. Make chef’s hat using tissue paper and construction paper or printer paper, or any other sort of paper you have on hand. Choose an art project from your current week. Listen to the ABCs of helpers in our community Construction workers build our houses and stores Watch the construction workers create a house from start to finish. Sing songs at top. What’s our address? What’s our phone number? Write your name. Do you know this song? Here’s a song about some more people that help our town. Auto mechanics fix our cars if they break down. They also change our oil in our cars to keep them running smoothly and change our tires when they get worn out. Watch this mechanic at work. Sing songs at top. What’s our address? What’s our phone number? Write your name. Volunteers are helpers in our community. They help pick up trash, help feed the homeless, help garden and help with many other things needed in town. Check out this video put together by Salvation Army showing all sorts of ways volunteers help. Sing songs at top. What’s our address? What’s our phone number? Write your name. The librarian helps us find books we’re looking for and puts books back on the shelf after people return them. They take care of the library. This is how librarians help the community. Bank tellers work in the banks. That is where we keep our money. If we want to open a bank account we speak to the bank teller. If we want to put money in our bank account or take money out we also talk with the bank teller. Take a trip to the bank. Bus drivers help people get around town. Go to work with a bus driver. Custodians clean most of the buildings that we visit. They sweep and vacuum the floors, dust, straighten furniture, clean bathrooms, take out trash, and much more. Listen to all the ways custodians help the community. Sing songs at top. What’s our address? What’s our phone number? Write your name. When our pets get sick or need check ups we take them to the animal doctor, a veterinarian. Take a trip to a veterinarian office. Sing songs at top. What’s our address? What’s our phone number? Write your name. When we get sick we go to the doctor. We also go to the doctor for check ups when we’re not sick. This is a story about a trip to the doctor’s office. Nurses help when we don’t feel well also. Some nurses work with kids in school, some work at the doctor’s office, and and some work in the hospital. They also help grownups at different workplaces. Watch this to see what nurses do at work. We go to the dentist to keep our teeth healthy. Take a trip to the dentist’s office. Sing songs at top. What’s our address? What’s our phone number? Write your name. When there is an emergency and someone gets hurt very badly the ambulance driver comes to bring them to the hospital. The people that work in the ambulance are called paramedics. Learn about the sort of work they do to help the community. Sing songs at top. What’s our address? What’s our phone number? Write your name. Choose an art project from your current week. Policemen serve our community by helping people that need help and protecting us. They also make sure everyone follow the rules set in our town. Go to work with a police officer. Skip around as needed because the video is a bit long. Make police vest using a large paper bag and yellow construction paper for a badge. You can find paper bags this size at Aldi although they have writing on them. You can make a hat by printing this template and coloring it. Sing songs at top. What’s our address? What’s our phone number? Write your name. Find our county on our state map and color it in. Sing songs at top. What’s our address? What’s our phone number? Write your name. We vote for senators and congressmen to represent us at our state capital and our nation’s capital. They represent us by helping to create rules that will help our town. *Talk about who our senators and congressmen are. * Put a star on the capital on your state map. Sing songs at top. What’s our address? What’s our phone number? Write your name. Choose an art project from your current week. We get to vote for a governor to represent us at our state capital in the State House. He represents us by helping to pass laws that help our community. *Talk about who our governor is. * The state house is in our state’s capital, the place that you marked with a star on your map yesterday. Sing songs at top. What’s our address? Write your name. What’s our phone number? Do you know this song? We get to vote for a president. The senators and congressmen that we vote for create rules that help our town and our president signs them, making them laws. Our president lives in Washington, D.C. *Talk about who our president is. * Put a star on the capital on your map of America. Sing songs at top. What’s our address? What’s our phone number? Write your name. Sing the emotions song. Sing along, do the facial expressions, and dance. Listen to song about our body parts Play a game about faces and feelings. Do you know the days of the week and months of the year by heart yet? If not sing the songs everyday until you know it by heart. Do you know our address and phone number by heart yet? If not say it out loud and write it down every day until you know it by heart. If you need more practice keep writing your name each day until it is spelled correctly, has proper uppercase and lowercase letters, and looks neat enough for other people to be able to read it. Sometimes we feel scared and sometimes we feel happy Listen to this body parts song Play a feelings game. Choose an art project from your current week. Sometimes we feel nervous sometimes we’re grouchy . Learn names of body parts in spanish and english. Do you know this song? Sometimes we feel really excited and sometimes we feel proud . Sometimes we feel embarrassed. We have skin on our bodies. Sometimes we get really mad, but we have to know how to calm down. We have 5 senses that we can explore our world with. We can SEE, HEAR, SMELL, TASTE, and FEEL things to explore the world. Learn about our five senses. We can taste things with our tongue. That helps us learn about our food. Have a taste test in the kitchen. Sometimes we have sad, bad, terrible days. It always gets better though. We just have to calm down. We can explore our world by touching things. When we touch things we find out what it feels like. Touch things throughout the house and describe how they feel. Try it blindfolded. Try to guess what you’re feeling. What should you do when you’re mad? We can learn about the world with our ears. We can hear things around us. Here are more sounds. Make music in the kitchen with pots, pans, and plastic containers. Fill plastic drinking bottles with popcorn kernels and rice to make shakers. See what different sounds you can make. Choose an art project from your current week. Sometimes we get mad at people we love. Always remember to say sorry and give a hug. We can learn about the world with our eyes. We can look around us and see what is near and far, if people are happy or sad, we can see colors and many other things that tell us about our surroundings. Go on a scavenger hunt and use your sense of sight to find things. Use this list. Do you know this song? We can talk with our friends when we are angry with them . Even when we have a problem with a friend, we can still be friends with them. We can learn about our world through smell. Listen to the smell song. Go to the kitchen and let’s smell different things and talk about what they smell like, then go outside and smell some things there too. Rent book from library for reading: Rent a body book, something that is enough to grab their interest that explains skin, blood, muscles, and bones. What to do when you feel sad. Notice what Jezelle does as well and how she cheers her friend up. Look at your skin. It protects your insides. Did you know you have fingerprints? What do you think this is? Did you know you have fingerprints? Look at your fingers and see if you can see the ridges that make your fingerprint. Make a hand painting. Try to get a stamp of your thumbprint. If you feel sad, singing can help you feel better. You can cheer up a sad friend by singing to them too. Listen to this song about sadness. Our skin protects us and helps us feel things. Rent from the library for reading: When I Feel Sad by Cornelia Spelman .. talk about what the character did when they were sad to feel better. Use the body book to talk about skin and blood. Skin protects us, blood carries our oxygen, it patches holes in our skin with scabs, and has different types of helpers that fight germs in our body. Choose an art project from your current week. Big Bird is looking for someone sad We all have skin https://vimeo.com/106844505 Read about the human body. Do you know this song? On day 50 you’ll need a large paper bag (get one at Aldi for a few cents) and you’ll need to save a paper towel cardboard roll. Get some sandwich bags, tape, glue, and whatever else you’d like to use for the project. Make sure to print out the organs on the website in advance. What is kindness? Our blood is very busy in our body. What should you do when you see scary things on TV or the internet. How bones and muscles help you move. Listen to this Veggie Tales song about being scared. God is Bigger Than the Boogie Man Learn about muscles and bones. When you’re scared think of something happy . Learn about the bones of our bodies. Choose an art project from your current week. **save your skeleton for your portfolio after you play with it for a while. Attach it to a sheet so that you can add it to the notebook easier. This is science. Do you know this song? Rent book from library: Feelings by Aliki, Your tummy warns you when something is scary. If you get a funny feeling in your tummy it is warning you not to watch something you can turn it off or walk away. Watch this show. Sister Bear watches something scary. Rent a Human Body book from the library. Talk more about muscles and bones. See how your body works. Make this inside out body to wear. Explain how the heart, lungs, stomach, and intestine work so make our body function. Start working on this needs versus wants activity book. What are germs and why do we have to wash our hands? ** Save the needs vs wants sheet for your portfolio for social studies. Finish working on Needs vs Wants activity book. How we can prevent getting germs in our bodies. Make a page of needs vs wants using magazine/newspaper clippings. What is a virus? & Learn about the Journey of a Germ Choose an art project from your current week. Watch Berenstain Bears get the Gimmies. What happens in our bodies when we’re sick? Watch this video to learn what happens to our bodies when we’re sick OR watch this one. Sometimes we want something, but we have to be patient. We have to know the difference between our needs from our wants. When we want something, sometimes we have to be patient. We have to get things we need before we can get things we want. Even after we have the things we need sometimes we should save money and not always get all the things we want. Look at ways we can prevent germs . Remember to wash your hands. We are never supposed to go anywhere with a stranger. If a stranger ever tries to get you to go with them it’s important to tell a grownup that you know and trust. We have to brush our teeth to keep our bodies healthy. This is how to properly brush teeth. Play a game about brushing teeth. We need to brush our teeth every morning after breakfast and every night before bed. Rent book from library for Reading: The Berenstain bears and Too Much Junk Food Grown ups do not ask kids for help. If they need help they ask another grown up. Grown ups never go to the playground unless they have kids. If you ever see a grown up come to the playground alone let your parents know. Grown ups will never ask you for directions or for help unless they’re being tricky. They will only ask other grown ups for directions or help. If a grown up is trying to talk to you but you think they may be being tricky it is not rude to ignore them and walk or run away. You will never get in trouble for not talking to someone that you think is trying to be tricky. Read The Berenstain bears and Too Much Junk Food .. We have to limit the amount of sweets and junk food we eat. Supplies needed: bananas, strawberries, pretzels, teddy grahams, toothpicks. No one should ever touch you anywhere that your bathing suit covers. That is not an ok sort of touch. Any touch that makes you feel icky is not right. Even if someone is only touching your shoulders or giving you a hug, if it feels makes you feel uncomfortable or icky it is not an ok sort of touch. Telling someone you don’t want to be touched is not being rude. If you ever get an icky feeling or feel uncomfortable because of someone, leave wherever you are right away and make sure you tell your parents. It’s very important. Your body tells you when someone or something is not safe. If someone, something, or someplace is not safe you’ll have a strange icky feeling. That is your body warning you something is not right. .. It is important to eat healthy foods. Make a fun healthy snack today. 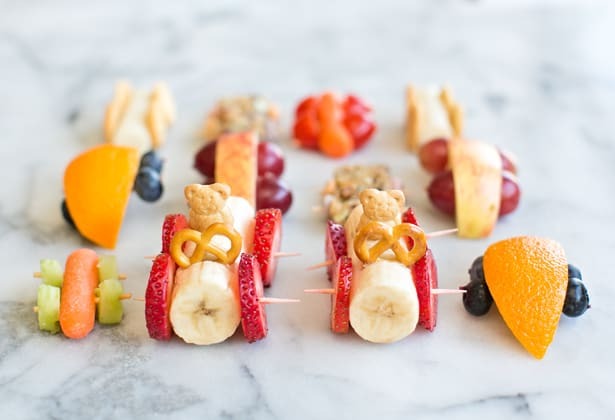 Make a fruit car. Choose an art project from your current week. Read article beforehand to review: https://www.kidpower.org/library/article/getting-lost/ What to do if you get lost…talk about safe people (women with children, store employees, policemen in uniform, etc.) and what to do if you get separated from family while out. Let’s watch this show about how we can keep our bodies healthy. Look through recipes before hand to make sure you’ll have ingredients on hand. Listen to these kitchen safety rules. Let’s think of any other safety rules that might not hav been mentioned. Now you can help with supper! We’re going to make hoagies for supper from Fizzy’s Lunch Lab recipe and serve with fresh broccoli and ranch. For dessert have some Cinna-Honey Apples. Every day while learning about countries we will cook different meals as a way to learn about other cultures and a way to experience the science of cooking. Each week make sure you have all the ingredients gathered if you plan on making the meals. Most of the time the meals are for supper but once in a while it will breakfast, lunch, or snack. Also, throughout the countries studies course we will learn not only about locations and landmarks, but also about country’s sports and music along with their foods because those sorts of things express each country’s culture better than just landmarks and locations. We’re going to start learning about our world! We are going to start our journey around the world here in North America. North America is a continent. Continents are really big pieces of land that people give names to to help identify them. Print this map and find North America on it. Color in North America on the map. Hold on to this worksheet. Over the next few weeks we’ll color in more continents. There are 3 main countries in North America. The United States, where we live, Mexico which is below us, and Canada which is above us. Can you point out those countries on a map? There are also lots of smaller countries in Central America. Central America connects North America to South America. Look for central America on the map now. Here are some facts about North America. We are going to start out our journey around the world in America. Listen to the United States National Anthem. America is a country with a variety of landscapes. It has so many different types of environments. Here are some videos of how diverse different parts of America look. Here are some famous landmarks in America. Color the American flag. Notice there are 50 stars on the American flag. Each star represents a state. There are also 13 stripes that represent the first 13 British colonies before America had its independence. When people think of American foods many people think of hamburgers. Let’s eat hamburgers for supper tonight. **Keep this map. You’ll be updating it each week and it will go in your portfolio for science after we’re through with it. ** Also, over the next few weeks there will be lots of worksheets and flags to work on. Save at least one or two of your favorite sets for your portfolio for social studies. Rent a book about Canada: Here is another video about North America . Let’s learn about Canada today. Canada is right above America. Find it on a map. Listen to the Canadian National Anthem. Does it sound like our anthem or is it a lot different? Here is a video with some of Canada’s famous landmarks. Canada focuses a lot on including all people and all cultures. The two main languages in Canada are english and french, but most people speak english. The most popular sport in Canada is hockey. Here are some differences between American english and Canadian english. Color in the Canadian flag. For our afternoon snack we’ll make poutine which is a Canadian food from Quebec. We’re on another day of learning about Canada. Let’s see how stores and products differ in Canada from America. Here is a drive through a small town in Canada. It doesn’t look much different than America. Canada is very similar to America but it’s also a bit different. For each new country you will fill in a country studies worksheet and color the country’s flag. Here is a link to the worksheet. What time is it there now? What time is it here? Today we’re making a traditional Canadian dessert, Maple Pie Choose an art project from your current week. Rent a book about Mexico: Today we’re going to learn about Mexico. Mexico is the country below America. Find Mexico on the map. In Mexico, most people speak spanish. Use google translate to learn how to say hello, goodbye, and thank you in spanish. Here is the Mexican National Anthem. Here is a video of life in a small town in Mexico. You can mute the man talking. The most popular sport in Mexico is futbol, but not the football you’re used to. In Mexico futbol is what we call soccer. Color in the Mexican flag. Tonight we will have tacos! You can make simple tacos from a mix or you can try this recipe. Do you know this song? Today we will learn a little more about Mexico and also a bit about Central America, which is the land that connects North America to South America. Look through this site to learn some more things about Mexico. Listen to a popular song from Mexico. This would be the sort of song you’d hear on the pop station in Mexico. When people think of Mexican music they often think of mariachi music. Here is a police mariachi band that played at a park. Watch how the people dance and listen to the music and the language Here is a song about Central America. Fill in your country worksheet. What time is it there now? What time is it here? Today we will make tres leches and have it for dessert after supper. Tres leches means three milks. It’s called three milks cake because you use three different types of milk products in it. Rent book from library: Children Just like Me by Anabel Kindersley. Also rent book about South America. We learned about North America last week, now we’re going to start learning about South America. South America is the big piece of land below North America. Color in South America using a different color on your map. Here is a video about South America. Here are some of the major landmarks in South America . South America has many countries so we won’t be able to learn about all of them this week. We will learn about South America’s most populated countries and we’ll start with Brazil. Find Brazil on the map. It is on the Earth’s equator so some parts of Brazil have no seasons, only summer. The earth’s equator is the part of the Earth that is always closest to the sun so it stays warmest there and doesn’t change seasons. In Brazil most people speak portuguese. Use google translate to learn to say hello, goodbye, and thank you in portuguese. If you’d like, learn to say some other things as well. ‎Listen to the Brazilian National Anthem. Soccer, or football as it’s called there, is the most popular sport in this country as well. Here is some drone footage of Brazil. Here is drive through a town in Brazil. Notice the cars and the people. Pay attention to what the buildings look like as well. Fill in this country worksheet. What time is it there now? What time is it here? Color the Brazilian flag. You can listen to some Brazilian music as you work. This link has lots of different types of Brazilian songs. Which type do you like best? Today we’re going to make Brazilian lemonade. It’s very different from the lemonade you’re used to. We’re still on our journey through South America and today we learn about Argentina. Find Argentina on the map. Argentina is in the southern hemisphere, or southern half of the earth. When it is winter here it is summer there, and when it’s summer here it’s winter there. What season is it in Argentina right now? In Argentina most people speak de facto spanish which is different than the spanish that we’re used to. De facto spanish sounds a little like italian and spanish mixed together. Here are some phrases in Argentina translated to english. Notice how some of them are a tad bit different tfrom the spanish of other spanish speaking countries. Listen to the Argentina’s National Anthem. Here is a video with some sights from Argentina. Here is a drive through a city in Argentina. I couldn’t find a clear video of a drive in a smaller town. Argentina’s most popular sport is soccer as well. Argentina is known for the tango. It’s a type of music and a type of dance. Here is a video of a couple dancing to tango music. Fill in this country worksheet. What time is it there now? What time is it here? Color the Argentinian flag. Tonight we will eat Carbonada, a stew from Argentina. Choose an art project from your current week. Today we are learning about Peru, another country in South America. Find Peru on the map. Most people in Peru speak spanish. Listen the the Peruvian National Anthem. Here are some landmarks in Peru. Here is a drive through an average town in Peru. Notice the people, cars, and buildings. Peruvian culture is a mixture of native and Spanish culture. Here are some pictures of Peru you can look through if you’d like. Listen to some traditional Peruvian music as you work on your worksheet. Fill in your country worksheet. What time is it there now? What time is it here? Color the Peruvian flag. We will make a dessert from Peru. It’s a type of cookie called Alfajor. Tomorrow make a Venezuelan breakfast! Do you know this song? We’re on our last day of South America today. Today we are learning about Venezuela. Find Venezuela on the map. In Venezuela most people speak spanish. Listen to the national anthem of Venezuela. Baseball is very popular in Venezuela, along with soccer. Here are some views of Venezuela from a drone. This is a big city in Venezuela and this is a small town in Venezuela. Here is what Venezuelan music sounds like. You can listen to this while you work on your worksheet if you’d like. Fill in your country worksheet. What time is it there now? What time is it here? Color the Venezuelan flag. This morning we ate a Venezuelan breakfast called perico. Rent book from library about Europe: We have moved on from South America and are now going to journey through Europe! Europe is across the ocean from South and North America. Europe is connected to Asia but only a part of the large landmass is called Europe. Color in Europe on your global map from two weeks ago. Here is a video with some of the top landmarks in Europe. It’s pretty long so just skip through the video to see what Europe looks like. There are so many countries in Europe that it’s very hard to learn about them all. We will start our journey in the United Kingdom. The United Kingdom is made up of several countries which are England, Northern Ireland, Scotland, and Wales. In the UK most people speak english but it’s a different type of english than we speak. Here are some differences in our english vs British english. Listen to the UK’s national anthem. The United Kingdom is an island. Here is a video of the UK. This is of England and Wales, and this is a drive through an average town in the UK. It’s in England. Music in the UK is very similar to music in America. Listen to a song by a famous singer in England. In the middle of the video they will start talking and you will hear how the english they speak sounds a bit different from the english we speak. Many sports are popular in the UK but some of the most popular sports in the UK are football (soccer) and rugby which is like a mixture of soccer and American football but they don’t wear padding so it’s much rougher than American football. Here are some highlights of a rugby game in the UK. Watch as much or as little as you’d like. Do you like rugby? Fill in your country worksheet. What time is it there now? What time is it here? Color the United Kingdom’s flag. Tonight for supper we will eat fish and chips. From the UK we’re going to travel to France. Find France on the map. In France most people speak french. Use google translate to learn hello, goodbye, and thank you in french. Learn some other words as well if you’d like. Listen to the French National Anthem. Here are some videos of France. Here is another one, and one more. This last video is of a drive through an average town in the northern part of France. Remember to pay attention to the people, the cars, and the buildings. Also, listen to the man talking. He’s speaking french. It’s a fairly long video so watch as much or as little as you’d like. Many sports are popular in France, but the most popular sports there are football (soccer), tennis, and rugby. Are you seeing a pattern with soccer? Soccer is the most popular sport in the world. In America soccer is not that popular but around the world most countries prefer soccer. Here is a french pop song. Does it sound like music here? Why or why not? Fill in the country worksheet. What time is it there now? What time is it here? Color in the French flag. Today we will make crepes! Today let’s learn about Italy. Italy is in Europe. Find Italy on the map. It’s easy to find because people say it resembles a boot. In Italy most people speak italian. Use google translate to learn how to say hello, goodbye, and thank you in italian. Learn some other words as well if you’d like. Here is the Italian National Anthem. Here is video of Italy. Here is a slightly longer video of Italy from the ground. Here is a drive through a small town in northern Italy. In Italy the most popular sports are soccer and water sports, like swimming, diving, and water polo. Water polo is kind of like soccer but you use your hands and you play in a swimming pool. Here is a clip from a water polo game. Here is a popular Italian song to listen to while you work. It’s set to look old but it’s not actually an old song. Fill in your country worksheet. What time is it there now? What time is it here? Color the Italian flag. Tonight we will eat spaghetti! Choose an art project from your current week. We’re moving onto Germany today. Find Germany on the map. In Germany most people speak german. Use google translate to learn how to say hello, goodbye, and thank you in German. Listen to the German National Anthem. This is video of what Germany looks like. Here is a drive through a small town in Germany. Remember to pay attention to what the buildings, people, and automobiles look like. Favorite sports in Germany are soccer, ice hockey, and handball. Handball is like soccer but with a smaller ball and you use your hands, not your feet. Here is a clip from a handball game. Here is a popular German song you can listen to while you work. Fill in your country worksheet. What time is it there now? What time is it here? Color the German flag. Tonight we’ll eat schnitzel for supper. Do you know this song? For our last country in Europe we’ll learn about Sweden. Find Sweden on the map. In Sweden most people speak swedish. Use google translate to learn how to say hello, goodbye, and thank you in swedish. Listen to the Swedish National Anthem. Here are some views of Sweden. Here is a drive through a small town in Sweden. Popular sports in Sweden are bandy, soccer, and ice hockey. Bandy is a mixture of soccer and ice hockey. It looks like hockey but on a much larger ice rink and the sticks are shaped differently. The biggest difference between hockey and bandy are the size of the ice rink and the fact that you aren’t allowed to be rough like in hockey. Here is a clip from a bandy game. Here is a popular Swedish song. Listen to the way they talk. You can listen while you work on your worksheet. Fill in your country worksheet. What time is it there now? What time is it here? Color the Swedish flag. For supper we will eat Swedish food. We’ll eat swedish meatballs with mashed potatoes. Look for lingonberry jam at Lidl to serve with meal. Lingonberries are very plentiful in Sweden, much like you can find wild blackberries growing in parts of America. Today we are moving to China, which is another country in Asia. Find China on the map. In China most people speak mandarin. Use google translate to learn how to say hello, goodbye, and thank you in mandarin. Learn other words if you’d like as well. Listen to the Chinese national anthem. Here are some views of China. There are 3 videos today but just watch however much of them you’d like. Watch at least a little of each because they’re all very different. Notice how different some of the buildings look there than what we are used to. Also notice how different the plants look there. The landscape varies throughout China because China is a very big country. Look how different the mountains look there compared to the mountains we’re used to! The strange rows that are cut out of the big hills are rice farms. If you watch the beginning of this video you’ll see the Great Wall of China. The Great Wall of China was built over 2000 years ago, even before Jesus came and it’s still up today. That is one of the most famous landmarks in China. Here is a drive through an average town in China. It’s very busy because China is the most populated country in the world. China has more people living there than any other country. Pay attention to the people, the automobiles, and the buildings. In China the popular sports are soccer, basketball, table tennis, and badminton. This is table tennis, and this is badminton. Here is a popular song in China. Fill in your country worksheet. What time is it there now? What time is it here? Color the Chinese flag. Tonight we’re going to eat a popular food from China called Tangculiji which is sweet and sour pork. We’re going to use our chopsticks tonight also. In China they eat food with chopsticks instead of forks. We learned about China yesterday. Today we are learning about another country in Asia called India. Find India on the map. In India most people speak hindi. Use google translate to learn how to say hello, goodbye, and thank you in hindi. Learn other words if you’d like as well. Most of the national anthems we’ve heard sound pretty similar but India has a very unique sounding national anthem. Listen to the Indian National Anthem . Here are some views of India. Here is a drive through a small town in India. Pay attention to the people, automobiles, and buildings. Cricket is the most popular sport in India. Cricket reminds me of what we call baseball but it’s a bit different and the bat has a flat side that you hit the ball with. This is cricket. Soccer is also very popular in India. Here is a popular song in India. Here is the same song used for a dance routine. Watch how she dances. Fill in your country worksheet. What time is it there now? What time is it here? Color the Indian flag. Today we’re going to have kheer as dessert. Kheer is Indian rice pudding. Choose an art project from your current week. Now we are moving on to Indonesia. Indonesia is part of Asia but it is a group of islands. Find Indonesia on the map. Indonesia is the third most populated country in Asia. In Indonesia most people speak indonesian. Use google translate to find out how to say hello, goodbye, and thank you in indonesian. This is the Indonesian National Anthem. Here is some footage of Indonesia and here is a city in Indonesia. Here is life in a typical Indonesian town. Pay attention to the automobiles, people, and buildings. Soccer and badminton are the most popular sports in Indonesia. Here is a popular song from Indonesia. It also has scenes from Indonesia throughout the video. Fill in your country worksheet. What time is it there now? What time is it here?Color the Indonesian flag. We’re going to make a sweet snack/dessert called pisang goreng. Pisang goreng is fried bananas and it’s a very popular dessert in Indonesia. Do you know this song? Our last country in Asia will be Saudi Arabia. Find Saudi Arabia on the map. Sometimes you will hear people talk about a place called the Middle East. Saudi Arabia is in the Middle East, which is in Asia. In Saudi Arabia most people speak arabic. Use google translate to find out how to say hello, goodbye, and thank you in arabic. Listen to the national anthem of Saudi Arabia. Here are some sights in Saudi Arabia . Next, watch a video showing regular street life in Saudi Arabia. This is a larger town. You’ll notice some things that are very different than our culture in America that are completely normal in Saudi Arabia. For one, some men wear very long head coverings, some men wear very small head coverings, and some men wear no head covering at all. There is no reason for the different sized coverings other than preference. You’ll see that most women also have head coverings to cover their hair. Many people in Saudi Arabia and other Muslim countries believe God wants us to cover our hair. Sometimes women wear no head covering, sometimes they wear something that looks like a large scarf over their hair/head but show their face and sometimes they wear a very long dress that covers everything including their face, which is called a burqa (if it covers their eyes) or a niqab (if it shows their eyes). Women don’t wear the head coverings at home with family or around their husbands. They usually only wear them when going out or when they are around men that are not their family members. You will see a store that is closed for prayer because in their religion you pray at certain times of the day everyday and many people stop everything they’re doing and pray at that time. Notice the words on signs. The words are much different than the letters we’re used to seeing on signs here. If you have more questions about women’s head coverings, types, and why they are used here is a site that will help. Soccer and cricket are the most popular sports in Saudi Arabia. Basketball is also popular there. Here is a popular song in Saudi Arabia. Notice how their language sound. You can listen while you work on your worksheets. Fill in your country worksheet. What time is it there now? What time is it here? Color the Saudi Arabian flag. We will eat kapsa for supper tonight. It is Saudi Arabian chicken and rice. We are moving to the west coast of Africa to the country of Morocco today. Morocco almost touches Spain. Find Morocco on the map. Listen to the Moroccan National Anthem. Most people in Morocco speak arabic. You can use google translate to learn to say hello, goodbye, please, and thank you in arabic if you forgot.. Here is what life looks like in Morocco. This is some drone footage of Morocco. This is a popular song in Morocco. Popular sports in Morocco are soccer, car racing, and cricket. Fill in your country worksheet. What time is it there now? What time is it here? Color the Moroccan flag. We’re going to eat tangine for supper tonight! The recipe is for lamb but you can use chicken instead if lamb is too expensive or hard to find. Monday we learned about Egypt in north eastern Africa, yesterday we learned about Morocco in north western Africa, and today we will learn about Nigeria in the western part of Africa. Find Nigeria on the map. Listen to the Nigerian National Anthem. Most people in Nigeria speak british-english. Here are some views of Nigeria. Here are some more views of Nigeria. Look for things that are different there from here. I noticed the vans look different from vans that most people drive in America. Soccer and basketball are popular in Nigeria. This is a popular song in Nigeria Fill in your country worksheet. What time is it there now? What time is it here? Color the Nigerian flag. For supper we will eat onion baked chicken and tumeric rice. We will have shuku shuku (coconut balls) for dessert. Use bread crumbs instead of flour for authentic Nigerian dessert. Choose an art project from your current week. We have been moving all over Africa this week and have made our way to east Africa. We are learning about Kenya. Find Kenya on the map. Kenya is right at the Earth’s equator, the point on Earth that is always closest to the sun. Because of that it is always summer in Kenya. Listen to the Kenyan National Anthem. Most people speak bantu, swahili, or british-english in Kenya. Use google translate to learn to say hello, goodbye, please, and thank you in swahili. Here is a video of Kenya. It was made by a man that owns (?) a factory in Kenya and is working there. I am posting it mainly for his ride to work. The rest might be a bit boring. There are some tribal villages in Kenya as well. Here is the life of a girl from a village in Kenya. Here is another video of drone footage of Kenya. Popular sports in Kenya are cricket, car racing ,and soccer. Here is a popular Christian song from Kenya. Fill in your country worksheet. What time is it there now? What time is it here? Color the Kenyan flag. We will drink masala chai which is a chai tea that people drink in Kenya. You must grind the spices. Do you know this song? We are moving to our last country of the day and learning about the culture of South Africa which is at the southern part of Africa. Find South Africa on the map. Most people in South Africa speak zulu. Use google translate to find out how to say hello, goodbye, please, and thank you in zulu. These are drone views of South Africa. This is a video of a day in South Africa. Soccer, rugby, and cricket are the most popular sports in South Africa. This is a popular song in South Africa. Fill in your country worksheet. What time is it there now? What time is it here? Color the South African flag. Tonight we’ll eat bunny chow. It’s like beef stew but it’s served in bread. It uses lamb in the recipe. Last week we learned about Africa and now we’re moving to Australia! Color in the Australian continent on your map. Now find Australia on the world map. The Australian continent has the least amount of countries. Australia is an entire country but New Guinea is also part of the Australian continent. Today and tomorrow we will focus on learning about Australia. Listen to the Australian National Anthem. In Australia they speak english but it’s a different version of english than we speak. Here are some differences in American english and Australian english. Australia is in the southern hemisphere. We live in the northern hemisphere so whatever season it is here is always opposite in Australia and the other countries we’ll be learning about this week. Here are some views of Australia. Here is a drive through a small town in Australia. Soccer, rugby, and cricket are some popular sports in Australia. Color the Australian flag. Pavlova is a very popular dessert in Australia. We’ll have pavlova today as a treat. We’re still in Australia today. These are some sights you might see if you went around Sydney, Australia. Sydney is a large city in Australia. This is a farm in Australia. Australia has farms just like America. There are farms in all countries of the world. This is a popular song in Australia. Australian music sounds a lot like American music. Fill in your country worksheet. What time is it there now? What time is it here? Tonight we’re eating meat pies. They’re a food that is very popular in Australia. We’ll eat them with ketchup for seasoning and peas on the side. We’ve been learning about the Australian continent and now we’re going to jump to Papua New Guinea. Find Papua New Guinea on the map. One half of New Guinea is part of Indonesia and one half is the country of Papua New Guinea. Listen to the New Guinea National Anthem. There are over 200 languages spoken on this island. Most are tribal languages, but the most common language is tok-pisin. Use this site to find out how to say hello, goodbye, and thank you in tok-pisin. Here are some views of what Papua New Guinea. Papua New Guinea has some urban areas where tourists visit but most of Papua New Guinea is rural. There are lots of tribal villages in Papua New Guinea. This is what grocery shopping is like in some in the country areas there. In America, even in the country areas you can usually find a Walmart or some sort of small grocery store with everything you need but it’s a little different in Papua New Guinea. This is the largest city in Papua New Guinea. It’s also the nation’s capital there. It’s still much different than the big cities in our country. Rugby is the most popular sport in Papua New Guinea. Color the Papua New Guinea flag. This is a popular song in Papua New Guinea. Fill in your country worksheet. What time is it there now? What time is it here? Color the Papua New Guinea flag. It was tough to find a food that was local to Papua New Guinea that we could make here. This is one of the only recipes I could find. It is a type of baked sweet potato but it’s made the way it would be eaten in Papua New Guinea. Do you know this song? Choose an art project from your current week. Today we’re jumping over to New Zealand. Find New Zealand on the map. It’s another small island. The difference between Papua New Guinea and New Zealand is that New Zealand is much more advanced is more similar to Australia or America. Listen to the national anthem of New Zealand. In New Zealand most people speak english. The english they speak is like British English , not American English. This is some footage of the South Island. This next video is the North Island of New Zealand. It shows little bits of all sorts of sights in New Zealand. Here’s a drive through an average town in New Zealand. This is a famous singer from New Zealand. Cass, a popular Christian singer, is also from New Zealand. In New Zealand, the music that is popular here is also popular there. Rugby and soccer are popular sports in New Zealand. A lot of food in New Zealand is similar to the food of Australia. Fill in your country worksheet. What time is it there now? What time is it here? Color the New Zealand flag. One meal that is only in New Zealand is Hangi, which is a meal that is cooked in the ground using hot coals. We aren’t going to cook in the ground but we are going to make the same meal using a slow cooker. If we can’t find pumpkin in stores right now we’ll just use a different type of squash or stick with only sweet potatoes. This is our last day of touring the world! We have visited every continent in the world except for the continent at the South Pole, Antarctica! Color Antarctica in on your map. Find Antarctica on the world map. No one lives permanently on Antarctica but some scientists do travel there to study it and learn more about the climate of our planet. There are no seasons in Antarctica. It is always extremely cold there because this part of the earth is always furthest from the sun. It never tilts toward the sun throughout the year like the rest of Earth does. Here are some views of Antarctica. This is what life is like for the scientists in Antarctica and this is what storms look like there. Fill in your country worksheet. What time is it there now? What time is it here? Which continent is your favorite? Which country did you like best? This week get a several books. You’ll need at least one each to skim through on insects, amphibians, reptiles, birds, and mammals. We just got done with our trip around the world and sightseeing different continents and countries. We were able to learn all about all sorts of people and how they live. Now we’re going to take another trip around the world but this time we won’t be focusing so much on how the world looks or how people live differently in different places, we will be focusing on the land animals of the world! Animals are so interesting and as we travel around the globe learning about all the different types of animals you’ll be amazed by how different they all are. Before we start our travel we’re going to learn about the differences between the different animals that live on land. Different animals are put into different categories based on their bodies and how they look and live. The first type of animal we’re going to learn about is an insect. An insect is the proper name for a bug. When people talk about insects they’re usually talking about a small animal that has six legs. Also, insects have exoskeletons, which means their skin is their skeleton. They don’t have a skeleton on the inside of their bodies like we do. That’s why an insect’s outside feels hard and not soft like our skin. Here is a video about insects. Go outside and look for some insects. What sorts of insects live near your house? No matter where you go in the world, you will always come across insects. Spiders are not considered insects although they live in the insect world. They have eight legs, not six legs, so they are not insects. Spiders are called arachnids. Try to say that word out loud so you know what type of animal a spider is next time you see one. Play this game! Look through your insect book when you get done. Talk about different insect habitats, or places insects live. Complete the insect worksheet. The next type of animal we’re going to learn about are reptiles. Reptiles have dry skin covered in little scales, not hair. Sometimes the scales are so small you don’t really see them but you’ll know if an animal is a reptile because a reptile does not have any hair and it’s skin is a bit hard and sometimes smooth, but not soft like our skin. Reptiles are cold blooded which means if it’s cold outside, the inside of their bodies get cold too. If it’s hot outside the inside of their bodies get hot. Reptiles need to be in warm places because if an animal’s body gets too cold or too hot it can’t survive. We are warm blooded, which means out bodies stay warm on the inside whether we’re on the beach in the summer or playing in the snow in the winter. Another sign an animal is a reptile is that reptiles lay eggs. They do not have live births where they keep their babies inside their bodies until their baby is ready to be born. Some animals that we usually immediately think of when we talk about reptiles are lizards, snakes and turtles. Can you think of any other reptiles? Here is a video about reptiles. Look through your reptile book. Talk about different reptile habitats. Complete this reptile worksheet. Today we’re learning about amphibians. Sometimes people get confused between reptiles and amphibians because they sometimes look a little similar and they both lay eggs. They are also cold blooded like reptiles. Amphibians are different than reptiles because they are born in water and live in water for parts of their lives. Some amphibians can breathe in water using gills like fish when they’re babies. Reptiles can never breath in water. Amphibians do not have hair, but they also do not have scales. Their skin is very soft and some have the capability to breathe through their skin. Here is a video about amphibians. Look through your amphibian book. Talk about different amphibian habitats. Complete this amphibian worksheet. **Save for your science portfolio. Choose an art project from your current week. We’ve been learning about different sorts of animals this week and now it’s time to learn about birds. Birds are easy to identify because they have feathers. They also lay eggs like amphibians and reptiles. Birds get around differently than most species because they can fly. They are warm blooded animals, not cold blooded like reptiles and amphibians. They often fly south for winter and they fly back north for summer. Watch this video about birds. Look through your bird book. Talk about different bird habitats. Complete this worksheet **Make sure to change the total print to just one page. If you download the worksheet it’s set to print 4 sheets. Do you know this song? This is the last day of learning about types of animals. The types of animals we’ll learn about today are mammals. Mammals have hair and do not lay eggs. They are also warm blooded which means their bodies stay warm inside no matter how hot or cold it is around them. You have hair on your head and humans do not lay eggs. Humans are mammals, too! Here is a video about mammals. Let’s sort out animals today in a sorting game. Then look through your mammals book. Talk about different mammal habitats. Complete this worksheet. **Keep this worksheet for your portfolio for science. You’ll need a ruler this week. Before we get started with our search of different animals in the world today, we’re going to start on a journey around the world of many years ago, a prehistoric journey! We’re going to learn about the types of animals that used to live on Earth long ago! Even during the dinosaur age there were insects, reptiles, amphibians, birds, and mammals. This week we’ll spend a little time learning about what those animals were like and where on Earth they lived. We’re going to start our journey here in North America again. Find North America on the map. I bet you’d never imagine that dinosaurs used to stop around right where you’re house is, but they did! It wasn’t just dinosaurs that were different back then though. The insects were much different too! The insects of the dinosaur age look much different than the insects we see outside today. This is how scientists research insects of long ago. A few insects in North America from prehistoric time periods were the archimylacris, which is an ancestor to the cockroaches of today. Archimylacris were around 2 -3 cm. Use your ruler to see how big they were. Here is a video of what they looked like. They ate the same things cockroaches of today eat, which is pretty much anything including decaying plant and insect matter. Another insect was the prodryas persephone which was an ancient type of butterfly. Here is what a prodryas persephone looked like. It’s wingspan was around 49 mm. Use your ruler to see how big the prodryas persephone was. There were also different types of amphibians in North America. One type of amphibian was the Koskinonodon. This was a carnivore, which means it was a meat eating animal. It was 10 ft long. Find something in your house that’s about 10 ft long so you can see about how big they were. These animals are much different than the amphibians that live in North America today! Here are some images of what it looked like. When people think the dinosaur times they always think of the different types of reptiles from that time period. Here is a list of all sorts of reptiles that lived in North America long ago. Watch the video on the top right side of the page and then find two dinosaurs that you like most and learn a bit about them by clicking on their link below their image along the lower right side of the page. One prehistoric bird from North America was the titanis walleri. It was huge carnivorous bird that was about 8.2 ft tall! It did not fly so it walked around like an ostrich. Here are some images of the titanis walleri. It has been nicknamed the terror bird because it was a pretty scary bird. Imagine those things coming to you bird feeder! Another bird that did fly was the ichthyornis. It was a carnivorous seabird. Imagine a pigeon with teeth. It was just about that size but had sharp teeth. It would have been comparable to today’s seagulls. There were tons of different mammals that used to live in North America. Pick out two prehistoric mammals you’d like to learn about from the top box in this link. Click on their links to see more images and find out how large they were and where exactly they lived in North America. The last thing I want you to do is find which prehistoric animals lived in your state. See what animals roamed around where you live today. Pick your state from the list. We’re moving to Europe and Asia today. When people talk about Europe and Asia at the same time they call it Eurasia. Find Europe and Asia on the map. One prehistoric insect of Europe was the deinodryinus velteni. It was a type of wasp and it was about 4 mm long. Find out how long it was using your ruler. Here is a list of some amphibians that lived a long time ago. #s 2,3,5, and 8 were all from Europe. See what they looked like and read a bit about them. You can read the others as well. Most of the others were from North America. Pick out a dinosaur to read about from Europe and pick another dinosaur to read about from Asia. The copepteryx was a penguin like bird that lived in Japan. It also lived in some of the western coastal areas of North America. It was about 6.5 feet tall. Read about an extinct mammal from Europe (only choose animals from BC). Even if you choose a different animal as well, check out the Elasmotherium. In the Bible it talks mentions unicorns in the old testament. This is the animal it’s talking about. Also read about an extinct mammal from Asia. Choose from the top box. Do you know this song? Choose an art project from your current week. Today we’re going to see what animals used to live in Australia. Find Australia on the map. The tarwininia australis was one of the first fleas. It could not jump like the fleas of today and it was 7 mm long. Use your ruler to see how long that is. Imagine that size flea on dogs and cats of today. Compared to the fleas of today, that’s pretty big! Here are some fossils of the flea that was found in Australia. Koolasuchus was an amphibian from Australia. It was over 16 feet long! Here is what it would look like if it stood next to an adult. This animal is a lot like the amphibian we talked about from North America. It was a lot like a crocodile but it was an amphibian, not a reptile. Here’s some more information about it along with some drawings of what it would have looked like. Choose two dinosaurs to read about that were from Australia. They were reptiles from long ago. Pick two dinosaurs from the top of the page to learn about. Not all birds of prehistoric times were huge. In New Zealand there were birds at the time of the dinosaurs that were very small and couldn’t fly. They call them priscaweka parvales. Here is an article about them if you’re interested. It also shows a picture of what they’d look like next to a duck of today. Can you imagine that small bird walking around with all the giant dinosaurs? Read about two mammals you’d like to learn about from ancient Australia. You’ll see many of the mammals that are listed are called marsupial mammals. Marsupials carry their babies in pouches in their bellies like kangaroos. Plan a trip to the zoo soon. We’re going to start learning about animals of the world over the next few weeks. Have 100 pack of stickers and trail mix ingredients for 100 day celebration. It’s the 100th day of school! We’re going to make a 100 day hat and 100 day trail mix today! Today we’re going to learn about the animals that were on Antarctica. Do you remember that continent at the bottom of the earth at the South Pole. Find Antarctica on the map. A long time ago many animals used to live there! One prehistoric insect that was found in Antarctica is the antarctotrechus balli. It would have been about 3 mm in length. Use your ruler to see how big the beetle would have been. Here is some more information about the beetle and pictures of what they found. One amphibian from prehistoric times in Antartica was the kryostega collinsoni. It was a huge salamander type creature with giant teeth. Here is some more information about it, along with some pictures and it also shows where it was found. Now let’s see what sorts of reptiles lived in Antarctica. He Glacialisaurus used to live in Antarctica. Here is what the glacialisaurus looked like along with more information about it. The Kannemeyeria was another dinosaur of Antarctica. The pelagornithid is a bird that once lived in Antarctica. It had a wingspan of 21 ft! Use measurements of you house to estimate about how big the bird was when it was flying in the sky. Here is some more information and pictures of the bird. The Tritylodon was a mammal from Antarctica. Look through some images and read the information about them. If you’d like to see more animals from Antarctica glance through this list. Look at the land animals. We’ll get to the water animals later. Listen to this dinosaur song for a quick review and because it’s fun! .. It’s the 100th day of school! We’re going to travel back to the current time in North America and we’re going to start learning about the land animals of the world of today. Find North America on the map again. Today we’ll learn a bit about insects in North America. Remember that insects are bugs with 6 legs. Scroll through this list of different insects in North America. Spiders are included in the list but remember that they aren’t considered insects because they have 8 legs, not 6. Do you see any insects that you’ve seen outside before? Pick at least 4 insects to “view”. When you hit view it will tell you where they are located and some more information about them. Choose to view more if you’d like. Go on a nature walk today and look for insects around where you live. Look through your insect book today. Yesterday we got to learn all about the insects on the North American continent. Today we’re going to learn about the amphibians of North America. Look through the salamanders and frogs/toads tabs. Don’t worry about the reptiles. We’ll look through that tomorrow. If you click on the pictures it tells you where the photo was taken so you’ll know where that animal lives. Click at least 4 images from each section. Look through your amphibian book today. Today we’re going to learn about some of the reptiles in North America. Look through the other four tabs today. Click on at least 2 images in each tab, but click on more if you’d like. Look through your reptile book. Choose an art project from your current week. We’re moving on to birds of North America today. Use this page to see all types of birds from Canada, Mexico, and the United States. Use the location tab below the search bar to change locations of countries. Some of the uploads listed will have the sounds the birds make. Now go back into the website again and change the location to the state you live in. What birds have you seen before in your town? Which birds have you never seen before where you live? Keep an eye out for those birds in the future. Take a look at this migration map that shows the current migration of birds in America. Depending on the season and weather most birds may be migrating north or south. Look through your bird book. Watch this video that shows animals of North America and the sounds they make. Do you know this song? Today is our last day in North America. We’re going to take a look at the mammals of North America today. Here is a list of some mammals that are native to North America. and here is a list of the largest mammals you’ll find in the United States. Here is a list of a variety of animals that can only be found in North America. Either today, or this weekend, go on a nature safari in a local spot near your home that has lots of trees and wildlife. A safari is kind of like bird watching but you can look for all sorts of animals on a safari. On the safari we’re taking, we’re going to look for any and all sorts of animals we can find. How many different animals can you find? Find your state on the list and see how many animals are endangered or going extinct. If an animal goes extinct it doesn’t come back. It goes away like the dinosaurs did. Once you get to your state you can click through the animals to see what they look like. How can we help our environment so we can help our animals? Here are some things we can do to help and here are a few more things to do to help. We can start using reusable cups or bottles and stop using plastic bottles and juice bottles. We can use glass plates, not paper plates. We can eat out less to have less throw away waste. We can start buying biodegradable trash bags so they don’t sit in landfills so long. The list can go on and on. What are some ways you think we can help the animals in our state and in our world? Let’s start these things today. Look through your mammal book today. This week make sure to have books about insects, amphibians, reptiles, birds, and mammals of South America. Last week we were able to learn about all sorts of animals in North America, so this week we’ll be learning about all sorts of animals in South America. Find South America on the map. We’re going to start with insects again. Look through some of these South American insects. Did you know the Smithsonian Museum in Washington DC has an insect zoo? Here is an insect zoo keeper showing different insects they have there and explaining some things about them. Look through your insect book. Today let’s learn about some amphibians from South America. Here are some amphibians of South America. Click through the images. Look through your South Americas amphibians book. We’re learning about reptiles of South America today. Look through this presentation of reptiles and amphibians of South America. You can look through the amphibians even though we looked through some yesterday as well. If you see an animal that you’d like to see closer just click on the image and it will zoom in. Each picture will tell you a little bit about the animal. In South America there is a huge rain forest. A rainforest got its name because of all the rain it gets. This rain forest is called the Amazon Rainforest. Watch this video about the Amazon Rainforest and its animals. Look through your reptile book today. Choose an art project from your current week. For the last day in South America we’re going to learn about mammals that live there. Here is a site with some mammals from South America. Click through the images to make them larger and learn about them. Look through your mammal book. Watch this video about South American animals. *Use this website to do at least one lapbook this week of your favorite animal from Europe or Asia. We’re jumping across the ocean today and heading to Europe and Asia. Find Europe and Asia on the map. We’re going to learn about Europe and Asia in the same week. Let’s start with insects. Here is a list of Eurpoean insects and here is a list of Asian insects. You may notice some of them are the same. That’s because even though Europe and Asia are two different continents their land is together above ground so the insects can easily migrate around the continent. Click on the images to enlarge them and learn about them. Look through your insect book. We’re still in Eurasia. We’re going to learn about amphibians in Europe and Asia today. Here are two lists with amphibians of Europe. 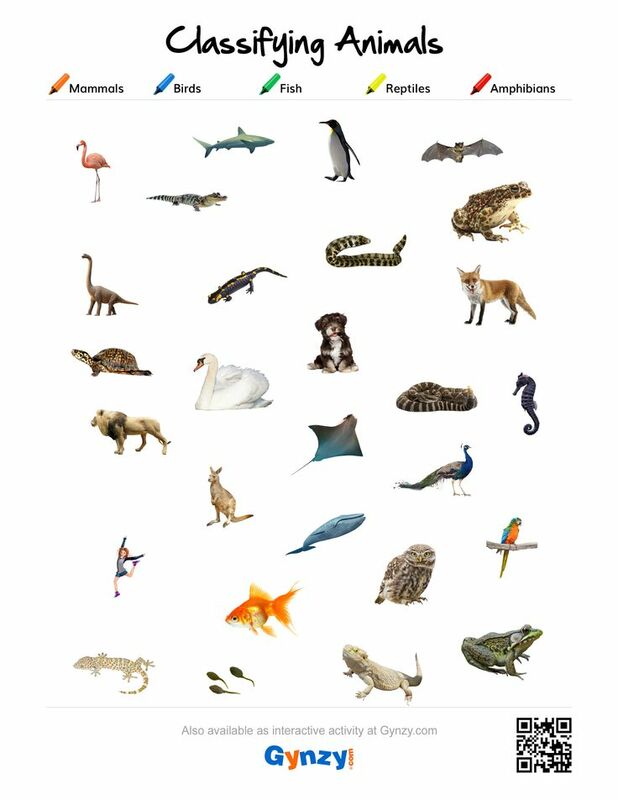 Scroll through each list to see what the animals look like. Here is a list of amphibians from Asia. If you click on the images it will tell you information about them. Click on at least 4 images and learn about the animals. Learn about more if you’d like. Look through your amphibian book. Now let’s look at the reptiles of Europe and Asia. Here are the reptiles of Europe. Look through each section. Here are some reptiles from Asia. If you click on the image it will tell you information about the animal. Make sure to click on the cobra and then choose 4 more. Here is a video of some European animals and the sounds they make. Look through your reptile book. Choose an art project from your current week. We’re learning about the birds of Europe and Asia today. Here are images of birds in Europe. If you click on the images they get bigger. Here are birds of Asia. If you click on the images it will enlarge the image and show you more information for the bird. Watch this video about animals of Asia. Do you know this song? This is the last day we’ll learn about land animals of Europe and Asia. Take a look at this list of European mammals. Click the image to make it larger and to see more information about the animal. Choose at least 4 images to see closer and learn about. Now take a look at the list of mammals of Asia. Some of the mammals may be the same since the land connects. Choose at least 4 animals to see up close and learn about. Use this website to do at least one lapbook this week of your favorite animal from Africa. We’re moving on to Africa today. Find Africa on the map. Let’s start with insects of Africa. Here are some African insects. Choose at least 2 of them to learn more about. Look through your insect book. Today we’re going to learn about the amphibians of Africa. Here is a list of amphibians from Africa. Choose at least 3 amphibians to learn about today. Click on the image to bring up links for more information. Look through your amphibian book. Now let’s learn about the reptiles of Africa. Choose at least 2 animals to learn more about. Just click on the image of the animal to bring up more information. Look through your reptile book. Choose an art project from your current week. Now let’s learn about birds of Africa. Look through the images of the birds of Africa. Click on at least two to learn more about them. Here are the sounds of the some African animals. Look through your bird book. Do you know this song? It’s our last day in Africa and we are going to learn about the mammals of Africa. Here is a list of some of the mammals of Africa. Choose at least 4 mammals to see up close and learn more about. Just click on their image. Here is a video about the animals of Africa. Look through your mammal book. Get books about the animals of Australia. *Use this website to do at least one lapbook this week of your favorite animal from Australia. This week we’re going to learn about the animals of Australia. Find Australia on the map. Let’s start with insects of Australia. Here are some Australian insects. Look through your insect book. Now let’s learn about the amphibians of Australia. Choose at least two amphibians to learn more about. Just click on the image to bring up links with more information. Look through your amphibian book. We’re learning about reptiles of Australia today. Look through these reptiles. Don’t forget to hit “load more” once you scroll down because there are more images that haven’t loaded up to the page. Click on at least two images to learn more about the animals. Look through your reptile book. Choose an art project from your current week. Now let’s learn about the birds of Australia. There are lots and lots of birds on this site. Choose at least 2 birds to learn more about by clicking their image. Here are some sounds of Australian animals. Do you know this song? Today is our last day with land animals. Here are some mammals from Australia. Choose at least 4 mammals to learn more about. Click their images to bring up links with more information. Here is a video with Australian animals. Now find Antarctica on the map. There aren’t many land animals that live in Antarctica but seals, penguins, and one type of insect are native species to the continent. A small island off the coast of Antarctica also has a type of reindeer, but they were originally brought there by humans. Here is a video of Antarctic animals. Here is a video with information about insects of Antarctica. Another form of body of water is called a sea. Listen to this video about the difference between an ocean and a sea. Seas have salt water. The Caribbean Sea is the closest sea to us. Find the Caribbean Sea on the map. Notice it has bits of land around it. Watch this video about oceans. Another type of body of water is a river. Watch this video about rivers. Rivers do not have salt water so we call that kind if water fresh water. Sometimes rivers call off the side of a cliff. A cliff is where the land is up high but then the land stops and the land beneath it is lower. Cliffs can be different sizes. Here is a picture of a cliff. Here is another size cliff and here’s a really big cliff When a river runs along a path with a cliff in the way it falls off the cliff and keeps going, which is how waterfalls are made! Here are some different waterfalls. Streams and brooks are small versions of rivers. Find some rivers near us on the map. Try to make a visit to a river near your house soon. Take a look at all the rivers around the world. Watch this video about rivers. Choose an art project from your current week. Lakes are also bodies of water. Watch this video about lakes. Lakes almost always have fresh water. Ponds are small versions of lakes. Look on the map for lakes near us. Let’s try to make a visit to a lake near us soon. Watch this video about lakes. Do you know this song? Review some information about bodies of water. Now that we’ve learned the names of the bodies of water and know what they are let’s travel back in time to find out what sorts of sea creatures used on live on Earth. One of the most common fossils of marine animals are trilobites and ammonites. Here is some information about trilobites. This is an ammonite. It also has a mosasaur in the video. Ammonites are similar to squid of today but they have shells. Here is a video with lots of different types of prehistoric marine reptiles and how large they were compared to the size of an average man. Look through one of your books today from the library. Watch this documentary by National Geographic about prehistoric sea life. This video was played at our state museum. Look through one of your books from the library. Choose an art project from your current week. The dunkleosteus was a giant fish that lived when dinosaurs lived. When we think of hammerheads we usually think of hammerhead sharks, but the prehistoric hammerhead called the Atopodentatus unicus was a herbivore. Look through one of your books from the library. Do you know this song? These are some really unique, and a bit scary, prehistoric marine animals. One of the most famous marine animals of the dinosaur times was the megalodon. The megalodon was a giant shark. Look through one of your books from the library. Let’s learn about some water animals that live on the earth today. Before we learn about fish, we’re going to learn about invertebrates that live in water. An invertebrate is an animal that does not have a backbone. One common invertebrate that lives in water are mussels. Some mussels live in rivers, streams, and sometimes lakes in North America. Mussels are really important for the water. Watch this video about mussels and watch this video to see how mussels help the water. Mussels live all over the world in freshwater and saltwater. Clams function in the same way and also live in freshwater or saltwater. Here is a clam burrowing in an aquarium. Crawfish is another type of invertebrate that lives in freshwater. A crawfish looks like a small lobster. Another freshwater invertebrate is a snail. Snails move very slowly but this video has been sped up so you can see how the snails move around. Here is a larger snail up close. There are invertebrates that live in freshwater, but there are also invertebrates that live in saltwater. Let’s learn about some of the saltwater invertebrates. Mussels, scallops, clams, and oysters are all types of mollusks and all live in saltwater. We learned yesterday that some mussels and clams live in freshwater, too. Here is a clam that lives in the ocean. The clams in the ocean can get much, much bigger than freshwater clams. Here is a view in the ocean of a huge bed of mussels. The people talking in the video are researchers that had been learning more about volcanoes in the area and accidentally found all the mussels. Scallops look similar to clams. Here is a scallop in the ocean. They can actually swim! Oysters live in the ocean as well. Oyster looks similar to the other shellfish we’ve been looking at, but they grow together. When there are tons growing together they create oyster reefs. Here are some oysters but the video is sped up so that’s why you see them moving. Oysters can make pearls and this is how. We’ve been learning about different invertebrates from the ocean. Here is a video of someone’s views while scuba diving. You’ll see all sorts of fish and invertebrates in the video. Some of the invertebrates you’ll see are coral reefs. The video is about 20 minutes long so you don’t have to watch the whole thing unless you’d like to. Definitely watch the first half. The video is really interesting and shows how colorful our ocean animals are. Here is some more information about coral reefs. In the coral reef video you saw some starfish. Here is more information about these animals. Choose an art project from your current week. Take a look at these invertebrates. They’re jellyfish. Here is some more information about jellyfish and how they sting. Be careful at the beach. Sometimes jellyfish will wash up and they look a bit like strange plastic bags but their tentacles may still sting you so don’t touch them. Another animal you might see wash up on the beach is a horseshoe crab. Some other things you’ll see at the beach are crabs and barnacles on rocks. If you eat at a seafood restaurant you almost always see shrimp on the menu. Here’s some information about them. Do you know this song? This is our last day learning about different types of invertebrates in the ocean. Let’s check out the octopus first. Did you know if you talk about one octopus you call it an octopus but if you’re talking about several of them you call them octopi. Another animal that looks like an octopus is a squid. Sometimes at the beach people can find sand dollars. This is a sand dollar. Don’t take home a sand dollar at the beach if you find one alive, because remember, they’re living creatures that will die if you remove them from the ocean. Last week we learned all about the invertebrates that live in water, this week we’re going to learn all about fish. Just like some invertebrates live in saltwater and some live in freshwater, some fish live in saltwater or freshwater as well. Fish live in water but not every animal that swims in the water is a fish. Watch this video about how to tell if an animal is a fish. Complete this worksheet. We’re going to learn about freshwater fish first. Paddlefish are really unique freshwater fish that live in rivers throughout the Mississippi valleys. Find Mississippi on the map. Here are some paddlefish eating and here is some more information about paddlefish. Another unique fish is the sturgeon which lives in the Great Lakes. Find the Great Lakes on the map. Here is what a sturgeon is and how it eats. Some common freshwater fish you’ll hear of often in North America are catfish and bass. People fish for these fish and eat them. This is a catfish. Did you see the “whiskers”? That’s why people call them catfish. Here is a type of bass. When we go to rivers and lakes we see the top of the water but there’s an entire other world under the water that we don’t get to see. Watch this video with lots of little bass. It shows a lot of views of what’s beneath the surface of the water. Let’s learn about freshwater fish from different parts of the world. In South America there is a famous fish called an electric eel. It’s actually a fish not an eel, but it looks like an eel because it’s long and slender. It is a fish that’s capable of producing electricity and shocking animals that are a threat or animals that it wants to eat. It’s also unique because it surfaces the water to breath air through its mouth instead of breathing through its gills like most fish. This is what an electric eel looks like. There’s no sound to this video. Another famous fish is the piranha. Piranhas live in South America as well. Here is some information about piranhas. Choose an art project from your current week. We’ve been learning about freshwater fish. Today we are going to learn about trout. There are all sorts of trout. Some live in North America, some live in Europe, and some live in Asia. Here is a video of what a trout looks like. Another fish that can be found all over the world in the minnow. There are tons of different types of minnows. Minnows are very small fish. They’re the small fish you always see at the water’s edge of lakes and creeks. Here is a video of minnows. Do you know this song? Another freshwater fish is the sawfish, which can be found all over the world in saltwater and freshwater. They are endangered which means there are not many of them and they are going extinct. Here is a video of sawfish. Another unique fish is the alligator gar. They can grow to very large sizes and live in North America. Here is an alligator gar. Another freshwater fish that live in rivers are salmon. Here is a video of salmon. Here is some more information about salmon. Last week we learned about all sorts of freshwater fish. This week we’re going to learn about all sorts of saltwater fish. Tuna is a type of fish that lives in the ocean. These are albacore tuna fish. They live in the Atlantic, Pacific, and Indian Oceans, along with the Mediterranean Sea. Another common fish is the mackerel. Here is what a mackerel looks like. Have you heard of a marlin? This is a marlin. Last fish for the day is the sailfish. In this video you’ll see sailfish hunting. Notice the fish they are attacking form a very tight school of fish. 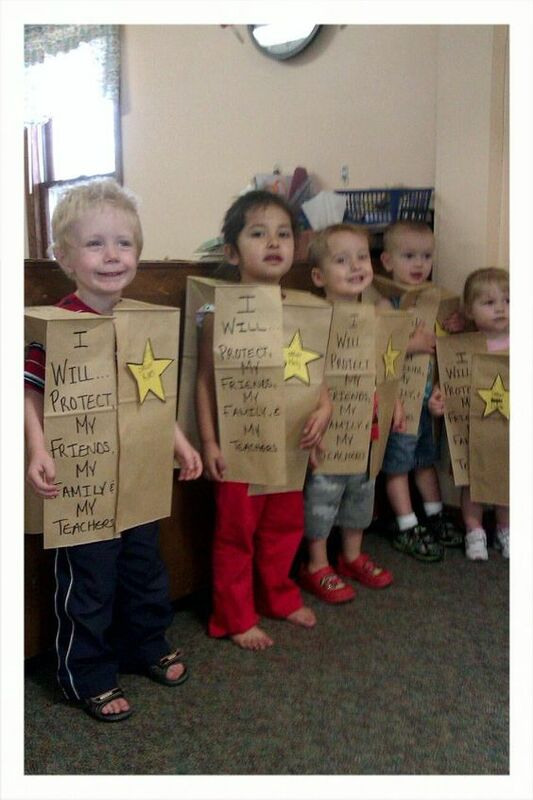 That’s a way they protect themselves from predators. They get very close together like that and form into a big group to protect one another. We’re still learning about saltwater fish this week. We’re going to move onto some even more unique fish. Have you ever seen a seahorse? This is a seahorse. This is a stonefish. Stonefish live where the Indian and Pacific Ocean meet, near Australia. They are very poisonous. Another interesting fish in the ocean is called a pufferfish. This is a different type of pufferfish when it is its regular size. Watch the video to see what it makes in the sand. Let’s learn the names of fish that are common in saltwater aquariums. This is the clownfish, like Nemo. This is the moorish idol. Here are some angelfish and a sea turtle. Last fish for the day is the lionfish. Choose an art project from your current week. Let’s check out some fish from the bottom of the ocean. These are fish that are very strange that live in the deepest parts of the ocean. Here is a barreleye fish. Another fish that looks a little scary is the anglerfish. The anglerfish has a small light to attract prey. Check out the blobfish. Watch this video and then look at other pictures and videos on the site to see life on the bottom of the ocean. Do you know this song? For our last day learning about saltwater fish in the ocean, we’re going to just enjoy some scenes of the beautiful ocean world. Watch as much or as little as you’d like. For the last few weeks we’ve been learning about marine animals. This will be our last week learning about them. This week we’re going to learn about sharks and whales. Let’s learn about a type of shark first. The most popular shark is the great white shark. This is a great white shark. Whales are not fish. They are mammals, like us! They have to come up to the surface of the ocean to breathe air. Now let’s take a look at the humpback whale. Today we’re still learning about sharks and whales. Take a look at the hammerhead shark. Here is some information about sperm whales. Today we’re going to learn about tiger sharks. Here is a different tiger shark. It’s called a sand tiger shark. For the whales we’re learning about beluga whales. These are beluga whales in the wild. Choose an art project from your current week. Let’s check out the bull shark today. Also take a look at a whale shark. For the whales, watch this video about orca whales, also known as killer whales. Here is an orca whale in the wild. Do you know this song? It’s our last day learning about sharks. Here is the blue shark. Here is another video with information about some really interesting sharks. These aren’t necessarily whales, but they’re similar. Let’s take a look at dolphins. For the last animal of the week take a look at the narwal. They’re super cool! Grab books about seasons at the library! We have toured the world and learned about people and their cultures, animals and their habitats, and some of the geography of the world! We’re going to move on to some new subjects now and we’re starting with seasons of the year. First let’s review the names of the seasons. Let’s start with winter. Winter is at the end of the year and the beginning of the year. Winter starts in December and ends in March. In many places it snows in the winter. At our house it very rarely snows. Christmas is in the winter. What are some fun things to do in the winter. What are some describing words for winter? Write them on your chart. Play this game and find all the silly things in the seasons. Complete your winter tree today. Also, complete your winter clothes sheet. ***Save winter clothes worksheet for social studies portfolio. Read about winter. Let’s listen to the seasons song again! Spring comes after winter. It’s the time leaves start growing back onto trees and grass begins to turn green and flowers begin to bloom. All the animals that sleep through winter wake up and birds lay eggs. It’s a very busy season for nature! Spring is from March until June. Easter is in spring. What are some fun things to do in the spring? What are some describing words for spring? Write them on your chart. Help George bring spring. Complete your spring tree today. 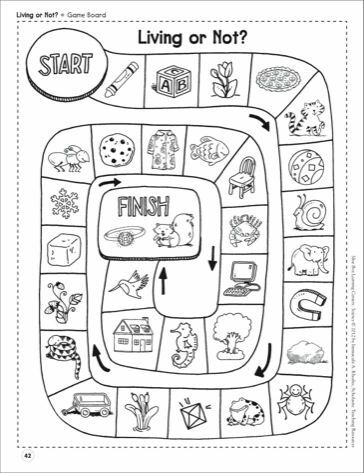 Complete the first worksheet today, the winter and spring worksheet. Save the second worksheet because you’ll complete that this week as well. Read your spring book. Play any social studies game you’d like. Let’s listen to the seasons song again! Summer comes after spring. Summer is from June to September. Summer is hot! People go swimming in the summer. 4th of July is in the summer. What are some fun things to do in the summer? What are some describing words for summer? Write them on your chart. Create a summer scene. Complete your summer tree. Read your summer book. Play any social studies game you’d like. Choose an art project from your current week. Let’s listen to the seasons song again! Fall or Autumn comes after summer. Fall is the season when the leaves turn yellow, red, orange, and brown and begin to fall off of the trees and prepare for winter. The weather begins to cool down. Halloween and Thanksgiving are during the Fall season. What are some fun things to do during Fall? What are some describing words for Fall or Autumn? Add them to your chart. Play this game! Complete this maze. 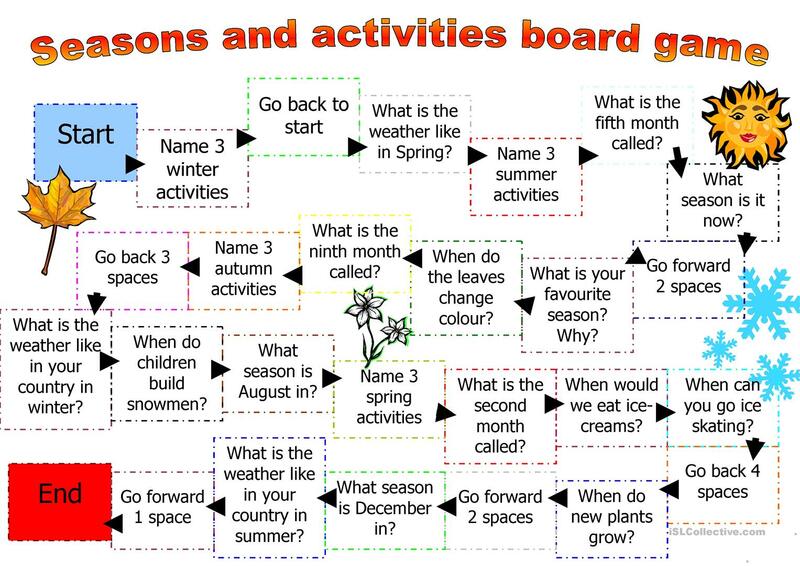 Complete your autumn/fall tree and complete the second page of seasons. Play any social studies game you’d like. Do you know this song? Get a few beans, clear plastic cup, and some soil to plant for next week. Also grab a pack of oranges before day 167 to make some orange juice together. Also, buy some honey. Listen to the seasons of the year song again! Watch this video about seasons and why we have them. We have learned all the seasons! Let’s play a board game today. Get a die and print out this sheet to play the game. Play any social studies game you’d like. Last week we learned about seasons, this week we’re going to learn a bit about weather and water and how it all works. Let’s learn about rain! We’re going to start off the week with a video. 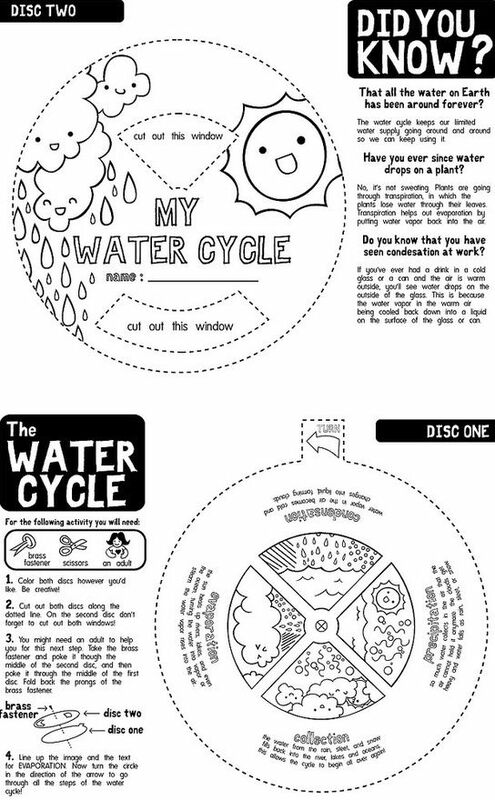 Make a water cycle craft. Play any social studies game you’d like. We’re still learning about the water cycle. Watch this video and complete this worksheet. ***Keep the worksheet for your portfolio. Play any social studies game you’d like. Complete these experiments today to have hands on learning about Earth’s water cycle. Use this printable to remember the cycle. Play any social studies game you’d like. Choose an art project from your current week. Make a cloud and rain craft today. Play any social studies game you’d like. Do you know this song? We have to keep Earth’s water clean. The water we have now is the water that will always be on Earth. It just goes round and round through the water cycle, but we don’t get new water. Complete this water pollution experiment. See if you can unpollute the water. If you’d like, you can watch The Magic School Bus : Wet All Over Play any social studies game you’d like. This week let’s talk about plants! What is a plant and how do they live? Watch this video to find out. Complete this worksheet today. What are some ways humans use plants? Spend time outside looking at plants! How many different types can you find? Play any social studies game you’d like. Rent book from library: Oh Say Can You Seed by Dr. Suess Read book today. Plant a bean seed. Plant your beans today. Make sure to water them each day and keep a log of how your plant changes. Use this print out. Print two copies so you can log for 10 days. Print more copies for more days. **Keep your plant log for your science portfolio. Orange juice is from a plant. Watch Mister Rogers to see how orange juice is made for the grocery stores. Let’s make some orange juice today! Spend some time looking at plants today. Pull up a weed and look at its roots. Can you name the main parts of a plant from the yard? Play any social studies game you’d like. Have you heard of pollination? It’s a big word! Pollination is how plants reproduce and make make more plants. In order to pollinate, they need pollinators. There are many different pollinators. Watch this video to see all different sorts of pollinators and how they pollinate flowers. This is how companies use pollinators for fruits and vegetables we buy at the store. Go outside and look for some pollinators. How many can you find? Play any social studies game you’d like. Choose an art project from your current week. Yesterday we learned about pollinators. Let’s learn a little more about them. Here is some more information about bees. If you see a bee outside, don’t try to kill it It is only trying to help the plants make more seeds. Did you know many bees are in danger? Many bees have been dying and no one knows exactly why. We do know one reason is because of pesticides. Pesticide is bug killer that is put on fruits and vegetables to keep bugs from eating them. The problem for bees is that the pesticide ends up killing them even though they’re only trying to help pollinate the plants to make more seeds. Here is a way some people are trying to help the bees. This farming family created a bee sanctuary. If you’re able, plant something in your yard to let the bees pollinate. Keep an eye on it to look for bees! Eat some toast with honey on it today. The honey is from the bees! Play any social studies game you’d like. Do you know this song? Make sure you have red, yellow, and blue acrylic paint and an ice cube tray for next week. Also grab some food coloring, cornstarch, vinegar, and baking soda. Ask for a meat tray at the grocery store to hold your paint. Today is our last day learning about plants. We breathe in oxygen and when we breathe out, we blow out carbon dioxide. Plants breathe in carbon dioxide and breathe out oxygen! We need plants so we can survive! What else do plants help us with? Watch this video to see all the ways we use plants everyday. Watch Life : Plants on Netflix if you have Netflix. Watch as much or as little as you’d like. Warning, there is a venus flytrap that eats two bugs. Also there is a scene where a leaf has a defense mechanism it uses against a baby caterpillar. Here are a bunch of time lapse videos of plants. Plants are alive and they move, we just don’t see them moving because they move so much more slowly than we do. Play any social studies game you’d like. We’ve learned so much about different living things this year. 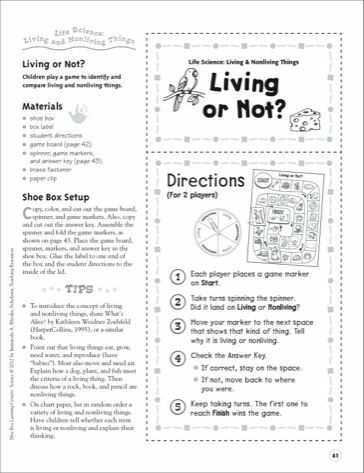 Do you know the difference between living and nonliving things? 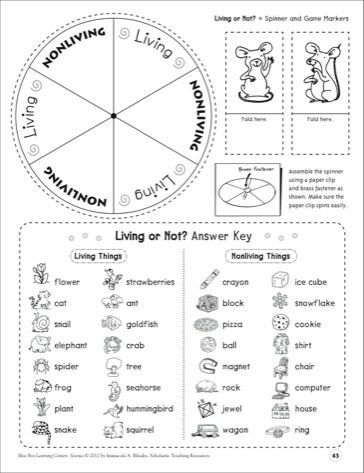 Go on a scavenger hunt and find living and nonliving things in and around the house. Find at least 5 living things and 5 non-living things. Find more if you’d like. Write them in the correct columns. Play any social studies game you’d like. Let’s spend one more day on living and nonliving things. Watch this video. Play this game! Here’s a board to print. Here are some pieces to use. Here are directions. Today we’re going to find out what sorts of things sink and what sorts of things float. Watch this video. Use this site for some tips for your own experiment. Do your own experiment. Print out 2 of the worksheets so you can try out your experiment on 14 items. Play any social studies game you’d like. Choose an art project from your current week. Yesterday we tried out an experiment to see what sinks and what floats. One thing that floats but is made of very heavy materials is a boat. Here is a great explanation. Now watch this video. Now take some foil and ball it up. Now toss the foil in a sink of water. After that, create a boat the way they did in the video and see if it floats. Add some small items to the boat and see if it still floats. Make a paper boat and try it out in the bathtub. Play any social studies game you’d like. Do you know this song? Have you ever played with a magnet before? What is a magnet and how does it work? Watch how magnets are made. Try out your magnet on different things around the house. Write down if it attracts the magnet or not on the graph that says “I Tested my Magnet” Play any social studies game you’d like. Watch Bill Nye explain magnets. Complete this worksheet. We’re almost at the end of the year! We’ve been skipping around a lot and learning a lot of physical science. We are going to learn about colors today! First let’s take a look at primary colors. Primary colors are the colors that make all the other colors. The three primary colors are blue, yellow, and red. With those three colors all other colors are made. Use some acrylic paint using only primary colors to make a painting. Use a meat tray to hold the paints and mix the paint to make the colors you need. Remember the color rules. If you forget, just ask. Play any social studies game you’d like. Make some watercolor paint today. Here’s a video to teach you how. Make whatever colors you’d like and paint a picture using those colors. Play any social studies game you’d like. Choose an art project from your current week. Play any two science games you’d like. Play more if you want to. Play any two social studies games that you’d like. Play more if you want to. Play any two science games you’d like. Play more if you want to. Play any two social studies games that you’d like. Play more if you want to. Fill out this sheet today. It’s the same sheet you filled out on the first day of school. Don’t peek at the sheet you filled out on the first day of school. After you fill it out, see if any of your answers changed! Our interests can change quite a bit in a year.